While landfall is less likely to occur, "DOMENG" could enhance the Southwest Monsoon (Habagat), which will result in moderate to heavy monsoon rains over Western Visayas and the western sections of CALABARZON and MIMAROPA beginning Friday, with the northward progression of monsoon rains, towards Metro Manila and the rest of the western section of Luzon during the weekend. 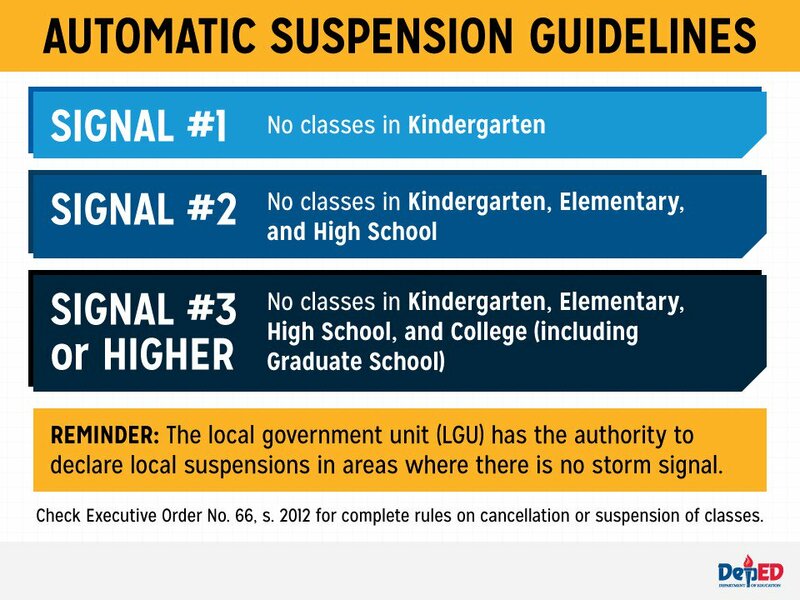 Here's the live list of class/ work suspensions as declared by respective LGUs on June 8, 2018. "DOMENG" has intensified slightly while maintaining a north-nortwestward movement. The combined effects of the Tropical Depression and the Monsoon Trough will bring moderate to occasional heavy rains over Bicol Region and the western sections of MIMAROPA and Visayas regions today. Residents of the aforementioned areas are advised to take appropriate actions against possible flash floods and landslides and coordinate with their local DRRM offices. Fisherfolks and those with small seacrafts are advised not to venture out into eastern and western seaboards of Luzon. Meanwhile, no warning signals are announced as of this writing. 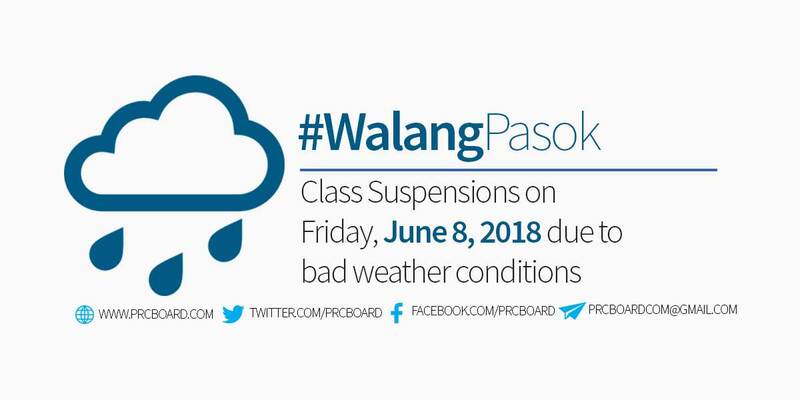 We advise our readers to bookmark this page to receive real-time updates on class suspensions for June 8, 2018. You may also follow us at our social media accounts via Facebook and Twitter.